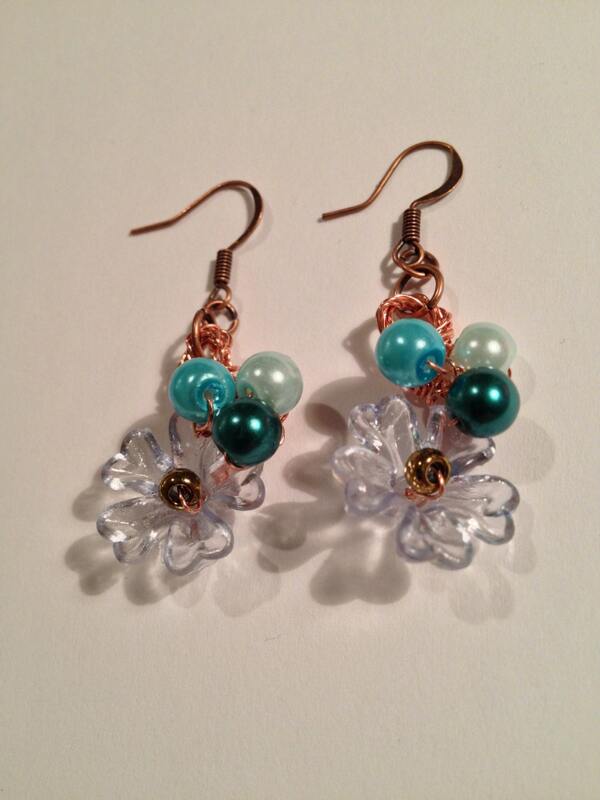 SJC10261 - Spring in Blue Bloom - handmade copper wire crochet earrings with various blue pearls and Lucite flowers. Spring in Blue Bloom - handmade copper wire crochet earrings with various blue pearls and Lucite flowers. Materials: blue pearls of various tints, Lucite flowers of various blues, copper wire, copper ear hooks. Bulk wholesale orders are welcome, contact me for pricing information!! !